Bummer. I'll have to get through a few freezer burned bites first because the lid wasn't on quite right (the one next to it was even worse). Getting past the crunchy stuff, I dig in and it tastes like every other vanilla chocolate combo I have ever had. The mascapone vibe is super weak so let's try just it by itself. Yeah, whoa, that's mild. Super mild. There is a pleasant sweetness to it, but the flavor is very mild. The chocolate side is fine but has a bite of.... chocolate liqueur to it shall we say. 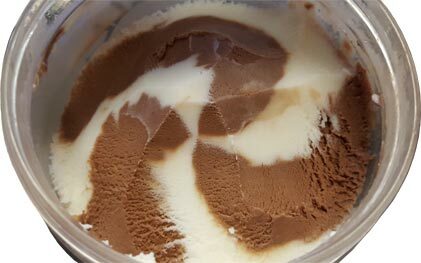 I know this gelato just uses straight cocoa powder as an ingredient, but there is something there. The point is it's best to get a bit of both on your spoon so that they enhance each other. I really didn't expect this one to be so subtle. Add in that bit of weirdness from the chocolate and I can't say I would recommend this one, at least not at the usual $5.69 price tag. It's not bad, but the flavor should be way more distinct for a high end product like this. On Second Scoop: After three servings the faux pint is finally gone and I can't say I will miss it. Even letting the texture slide because I may have gotten an iffy pint, the flavor isn't there and it really needs to be. 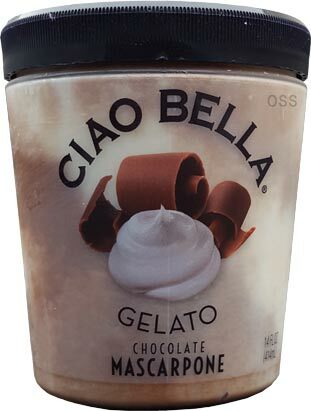 You are selling this on chocolate mascarpone with no mix-ins, and neither chocolate or mascarpone brings what it should. The chocolate is of higher quality, but it leans in to a bit of weirdness. 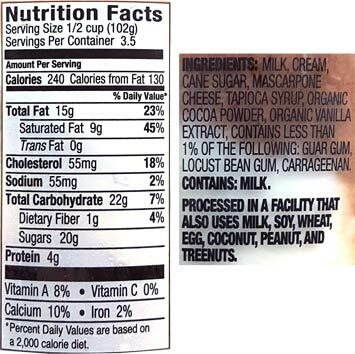 The mascarpone is just so immensely mild that it's not really there. It's more of an anti-chocolate than anything. Maybe you dig that, but I wanted to think canolli, not hoodsie cup. I have tried different flavors and for some odd reason they all have the same weird aftertaste. I don't know how to describe it, but it's not pleasant. Something to be said for keeping it simple. They could have gone full Tiramisu. 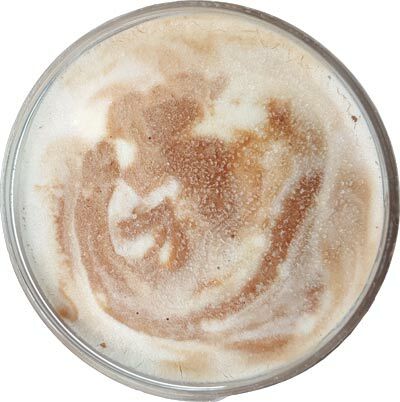 @ibagoalie: in a few months I will try another flavor, lots of other things I want to get to first.